Get an All-Access pass for $2,950. Call 888.494.3696. Learn more. All Hilton Head courses begin at 8:00 a.m. Please note that the annual 2-for-1 promotion does NOT apply to the All-Access Pass as it is already a discounted rate. Note: Use your back button to return to this page after viewing a course. The course blankets the spectrum of practical topics surrounding Government Contracting. Effective, immediate actionable information on contract pricing techniques for contractor and government personnel involved in contract or subcontract pricing. Two concentrated days on how to understand and use FAR in your daily contracting activities. A special two-day program on accounting principles, accounting systems, and cost principles as they relate to procurement activities with the federal government. In this course, attendees will learn the difference between mandatory and non-mandatory flowdowns, when (and how) to negotiate flowdowns with the Government, and how to prioritize the clauses that are flowed down to subcontractors. Attendees will learn to use a flowdown matrix efficiently, and will learn how to educate themselves on the potential impact of flowdowns on their particular projects. They will learn the importance of involving functional experts such as Contracts, Project Management, Finance, Quality, Operations, Human Resources, and legal before and during the negotiation stage to minimize the risk of the inclusion of unnecessarily burdensome flowdowns, and to ensure that they understand the impact of the flowdowns that are included in the prime contract. Learn the best practices common to successful IT companies in this new Federal Publications Seminars classroom course. Gain insights on whether to sell direct or indirect. Understand budget cycles, the top federal IT priorities, who to target and more. This course is designed for government contractors that currently have contracts subject to the Cost Accounting Standards (CAS) and commonly encounter some of the more complex requirements and nuances related to compliance with the CAS. A unique, advanced course for government contract professionals. Institute considers problems without definite answers and proposes strategies that will inform your work. Teaches Service Contract Act's labor requirements, when they are applicable, and how to incorporate them. A special two day program on accounting systems as they relate to procurement activities with the Federal Government. Negotiations are important to winning government contracts - and to win it so as both sides have a mutual benefit and a good working relationship after the award. This course covers the specifics of negotiating contracts and subcontract provisions, prices and claims including teaming agreements, subcontract agreements, new/contingent hiring, and terms & conditions. During this 1-day course, you will learn the when and why to negotiate as well as basic concepts. You will learn what can be negotiated and the key steps to planning, so that everyone understands the objectives to the negotiations. Learn the basics of subcontract file creation and maintenance, including the scope and extent and compliant documentation, as well as methods to ensure appropriate file oversight; the importance of ongoing communication to ensure compliance requirements are being met and documented properly; and the importance of ongoing training in the latest regulations and "hot-topics" in the area of compliance. You'll also be introduced to the current regulatory trends facing contractors. An accelerated, advanced course analyzing the unique problems, practices, rights, remedies, disputes, claims and other demands faced by construction professionals. The workshop provides a detailed, step-by-step guide to the preparation and development of the Incurred Cost Submission(ICS). Welcome to a never-the-same-twice workshop experience! We take your challenges and reframe them through the lens of our leadership methodology to offer alternate approaches for achieving results in the government contracting arena. Review of the federal procurement process with emphasis on the practical, and the keys to success in today's contract world. Get valuable understanding of the Defense Federal Acquisition Regs Supplement in a classroom setting. A comprehensive seminar on topics of legal ethics interest to lawyers in all fields of practice and jurisdictions, designed for busy professionals to satisfy their Continuing Legal Education requirements. This course examines IP rights under government contracts and issues facing Government Contractors and Government Agencies. A unique, advanced course specifically designed for experienced government contracting professionals. This program addresses newly enacted legislation in wage and hour regulation. An advanced review of the major issues and updates of the FAR with case studies and class discussion. This seminar is a uniquely rigorous overview of the building blocks of contract language and common sources of confusion. Gain practical guidance from real-life examples drawn from actual contracts in this interactive, hands-on workshop. Course includes a special, new component on procurement trends and areas of audit emphasis. This course addresses vital issues on source selection, covering the negotiation process, effective techniques and pitfalls to avoid. 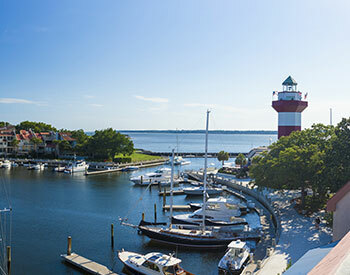 PLEASE NOTE: All courses at Hilton Head Government Contracts Week begin at 8:00 a.m. If your course is a full-day course, it will end at 3:00 p.m. If the last day of your course is only 1/2 day, it will end either at 11:00 a.m. or 12:00 Noon. Each of the courses at Hilton Head Government Contracts Week are led by instructors recognized in the government contracting industry for their expertise. They leverage years of experience to break down complex rules and regulations into information you can understand and apply to your contracting activities. For specifics, visit the individual course pages to find more information on the industry-leading instructors who will be teaching your class or classes. Capital Edge Consulting, Inc. is a Management Consulting firm that focuses on helping companies do business with the US Government. Located in the greater Washington, DC Metropolitan Area, the consultants of Capital Edge have over 300 years of experience providing government contractors with Strategic Planning, Financial Management, Information Systems, Program Management, Contracts Management, Training, and Compliance expertise. Learn more. For almost 30 years, JAMIS Software Corporation has been a leading provider of world-class enterprise software. We are still proud to say that we are the leading provider of project-based ERP software, designed by Government Contractors for Government Contractors. JAMIS customers include some of the top names in federal contracting, including Booz Allen Hamilton, Alion Science, Boeing, Jacobs Engineering, J&J Worldwide, IBM, M1 Support Services, Urban Institute, and many more. Learn more. As an authority in legal publishing, Thomson Reuters offers popular law book collections, including Rutter Practice Guides and Aspatore. Learn more. Smith Pachter McWhorter PLC is a law firm in the Washington DC metropolitan area specializing in government contract, white collar, and construction law. In more than 30 years of serving the construction and government contracting industries, the hallmark of Smith Pachter McWhorter PLC is our commitment to outstanding client service, evident in the long-term relationships we have enjoyed with many clients. Learn more. PwC’s professional services include audit and assurance, tax and consulting that cover such areas as cybersecurity and privacy, human resources, deals and forensics. We help resolve complex issues and identify opportunities across these industries. Let’s combine your aspirations with our world-class capabilities to achieve your goals.. Learn more. CohnReznick is one of the top advisory, assurance, and tax firms in the U.S. Our Government Contracting Industry Practice provides a comprehensive suite of services to assist government contractors with a full life-cycle approach to winning and managing contracts to ensure financial and procurement processes are compliant, efficient and effective. Learn more.??????? • Real-Time Reporting on Project Status, Performance, Costs, etc. The Coalition for Government Procurement (“The Coalition”) is a non-profit, national trade association representing commercial contractors in the Federal market. For almost 40 years, The Coalition has brought together public and private sector leaders to work towards the mutual goal of common sense acquisition. The Coalition provides its corporate members with timely information, analysis and insight regarding the latest contracting policies, procedures, and programs impacting GSA and VA Schedules, GWACs, and agency specific MACs. Learn more.